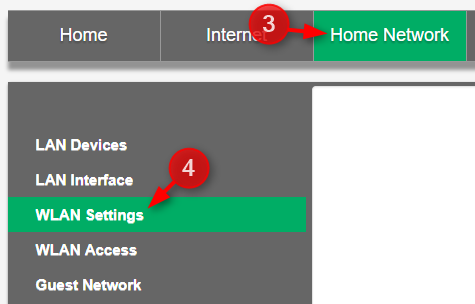 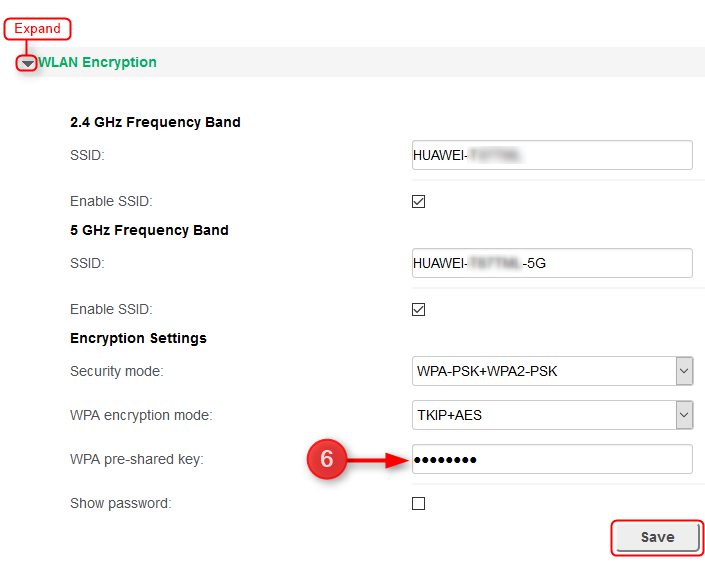 A) Once you have powered on your router for a few minutes, the WiFi signal should enable automatically. 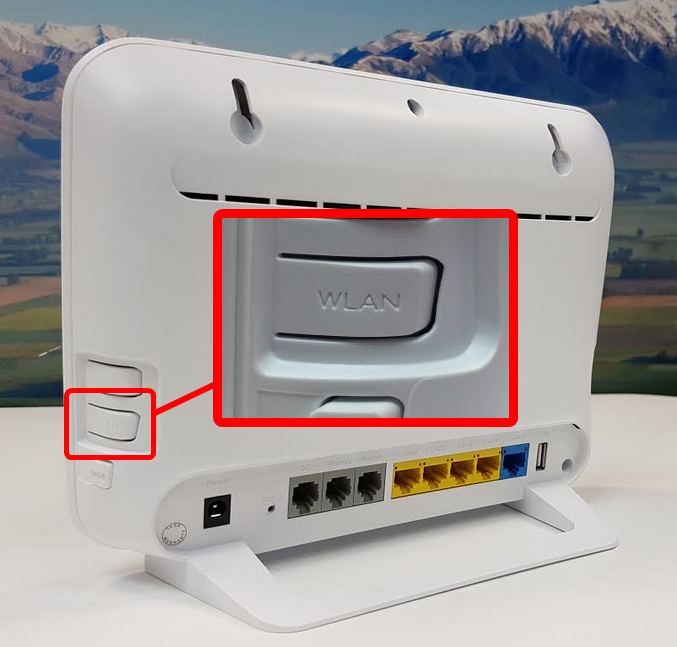 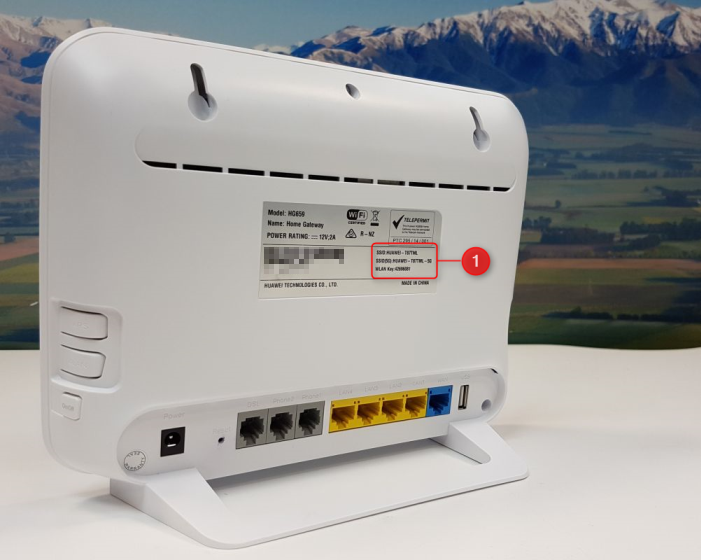 This will be indicated by the 'WLAN' light on the front of the router being solid Green or blinking fast. 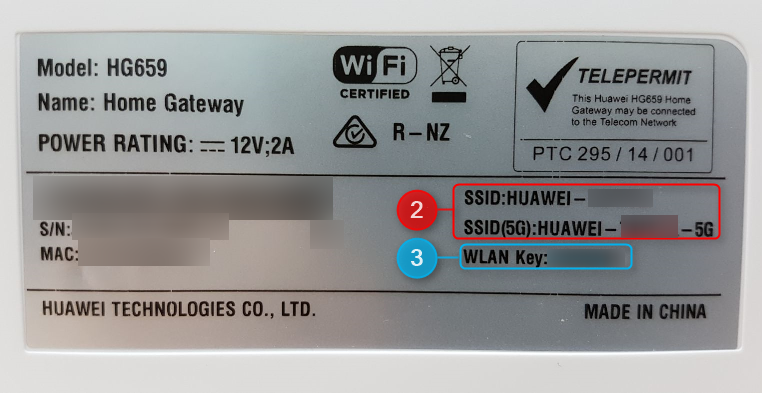 D) Because the router supports dual band WiFi, there are 2 SSIDs displayed here. 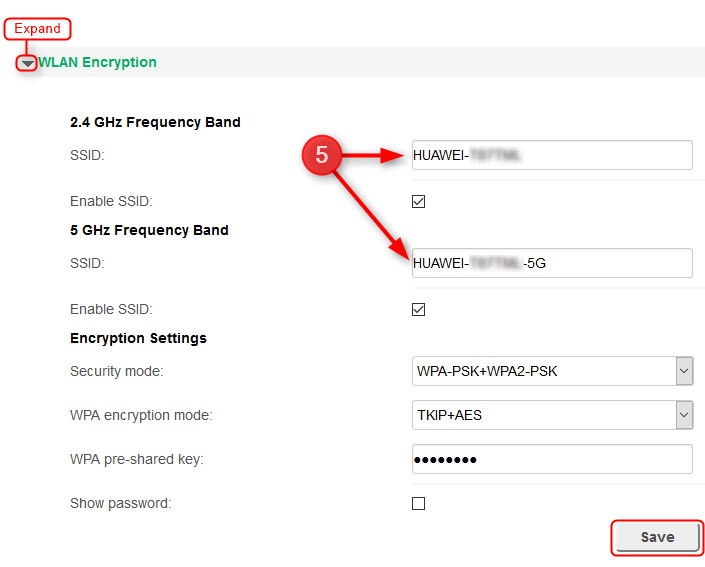 The top one is for the 2.4Ghz Signal, and the second one is the 5Ghz signal.